Move past simple daylight extension and optimize for a perfect lighting environment year-round. Light is one of the most important variables for any cultivation. Begin treating it like one. 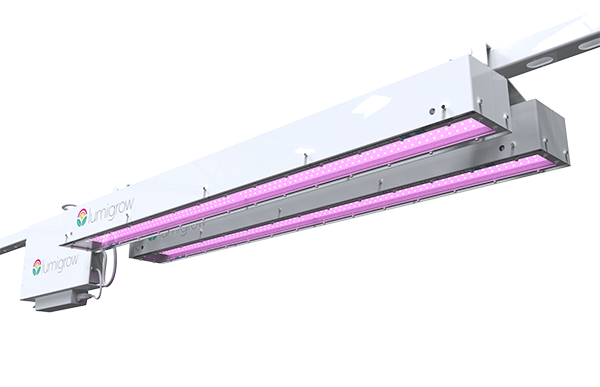 The most functional lighting solution for professional cultivation. 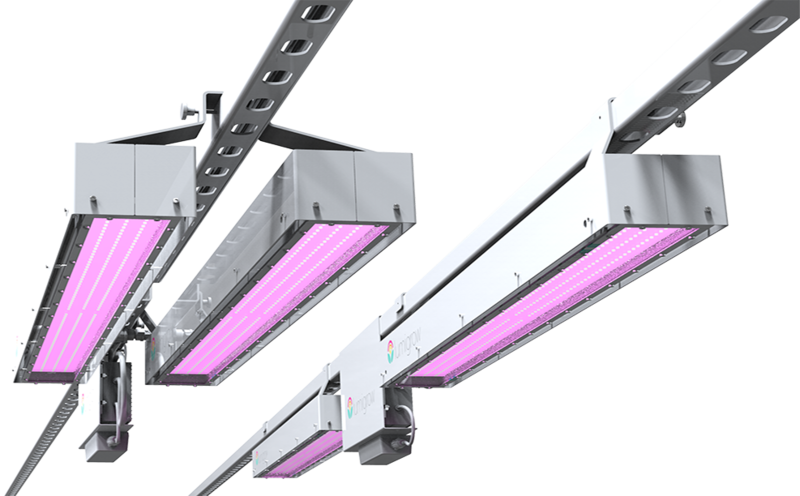 Each TopLight™ fixture comes with two light bars connected to one smart power supply for flexible deployment and powerful growth. 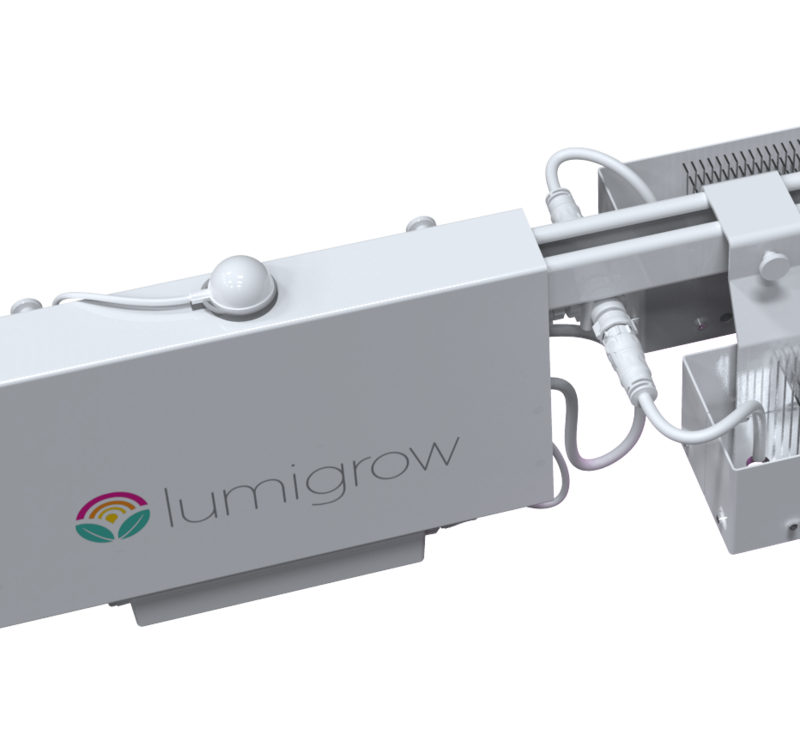 The TopLight Node is a smart 3-channel power supply that integrates with various LumiGrow accessories to enable precision lighting management through wireless control. 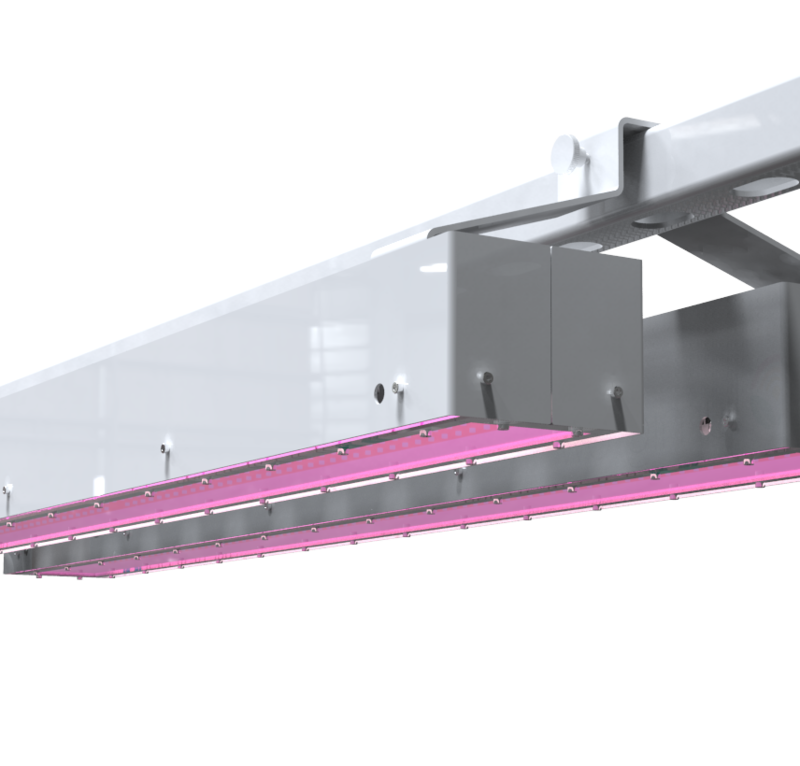 Your TopLight Node allows you to quickly and easily deploy an ideal lighting environment for both greenhouse and indoor applications. When ordering our smartPAR™ Wireless Control System, you receive smartPAR™ modules that plug directly into your TopLight Node for manual control over light spectrum, photoperiod, and intensity from any smartphone, tablet, or computer. 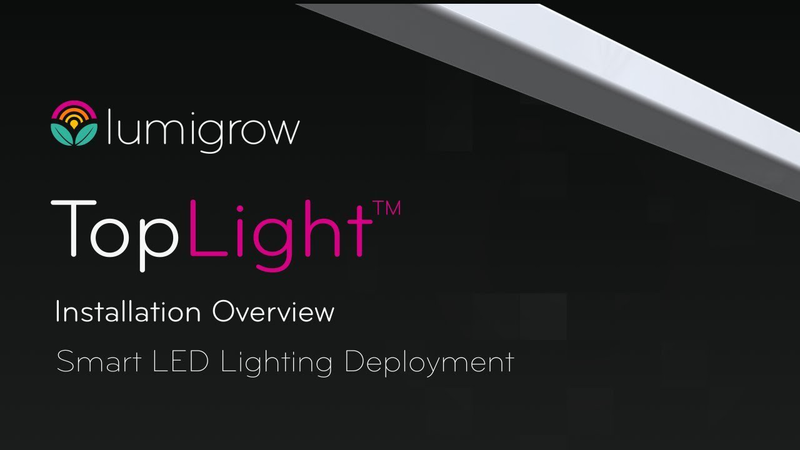 Have the sun manage your TopLight fixtures with LumiGrow’s smart greenhouse lighting technology. 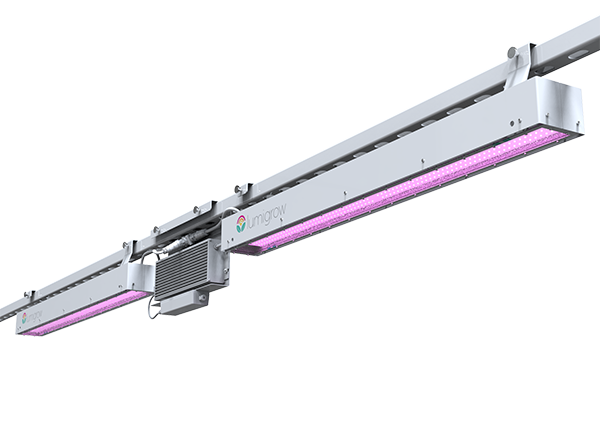 Plug your LumiGrow Light Sensors into your smartPAR™ modules to begin automating ideal lighting conditions every day of the year. All greenhouse lighting automation is deployed specific to your greenhouse facility and crops. suits your crops. Select from In-Line Deployment or Double-Mounting Deployment. 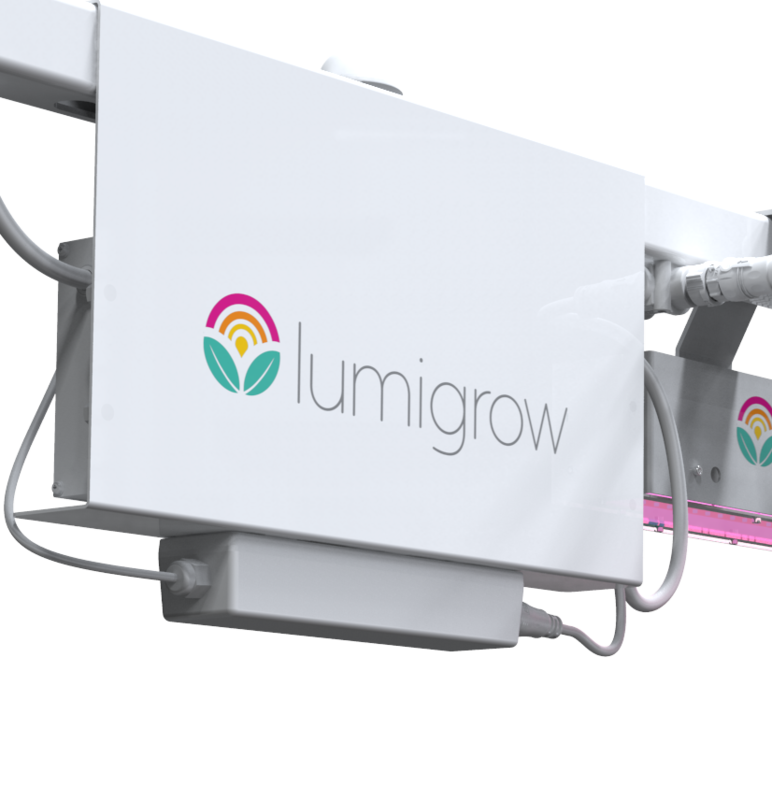 Creating the industry’s most advanced precision greenhouse lighting solution has been a major horticultural achievement. 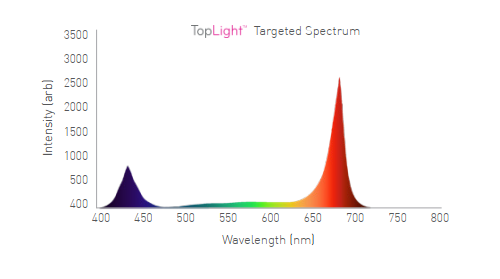 Engaging in over 10 years of horticultural lighting research has shown that focusing most of your light’s energy into the red (600-700nm) and blue (400-500nm) PAR ranges drives robust photosynthetic growth while offering significant control over biochemical and biophysical processes when adjusting your spectrum dynamically. 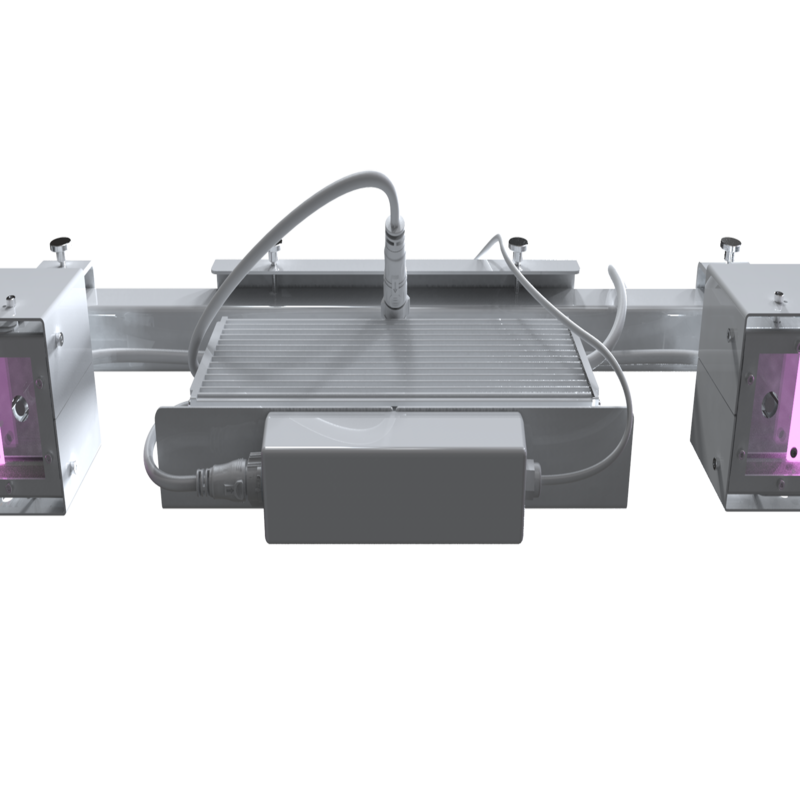 Traditional high-intensity discharge (HID) lighting systems, both high-pressure sodium and metal halide, have limitations delivering an ideal spectral curve for a plant’s photosynthetically active radiation (PAR) region. 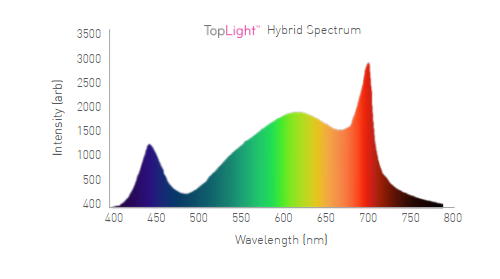 Our hybrid spectrum was designed by looking at a traditional HID light spectrum and improving upon it by enriching the red (600-700nm) and blue (400-500nm) PAR ranges to get a boost in peak Chi A and Chi B chlorophyll absorption areas. optimal light deployment at the lowest possible cost.